Celebrating the 40th Anniversary of the Taste of Texas Restaurant, PERFECTLY AGED features more than 100 of the Restaurant's most requested recipes as well as beautiful photographs that will inspire the home cook. 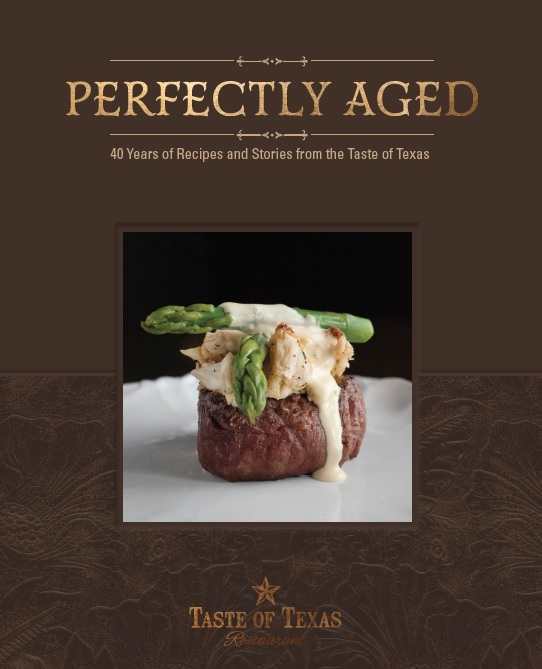 PERFECTLY AGED includes a chapter on the Taste of Texas' famous Steak School, demonstrating how to grill a perfect steak, every time. PERFECTLY AGED tells the story of Texas Independence through the artifacts housed in the Restaurant's world class Texas history museum.